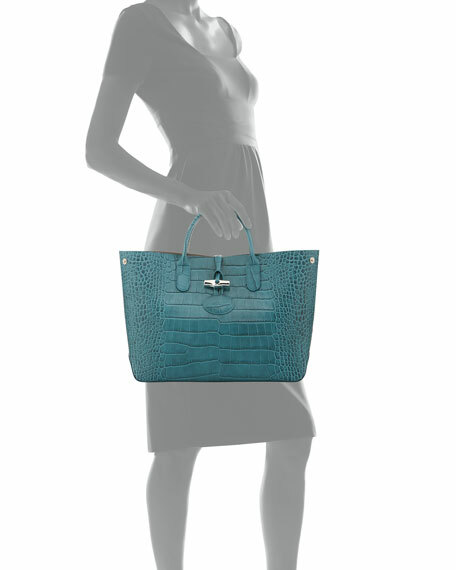 Longchamp croc-embossed leather tote bag. Two snap closures to adjust the bellows. 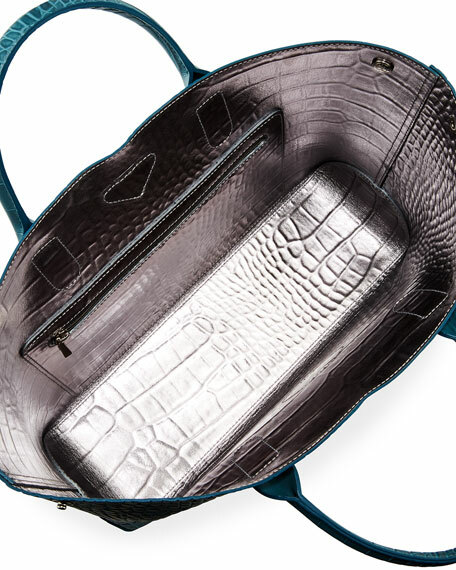 Interior, large zip pocket; unlined. 10.2"H x 14"W x 4.8"D.
For in-store inquiries, use sku #2444128.